MK 38 Mod 3 for the BRP Andres Bonifacio (FF-17). Contract dated 29 September 2016. Delivery date by May 2018. This contract combines purchases for the Navy (84 percent); and the governments of the Philippines (8 percent); and Jordan (8 percent) under the Foreign Military Sales program. Work will be performed Hafia, Israel (67 percent); and Louisville, Kentucky (33 percent), and is expected to be completed by May 2018. I can't seem to find specific references to the GDP and/or the Boni in the contract announcement. Are we sure these Mk 38s aren't ticketed for one or both of the SSVs? 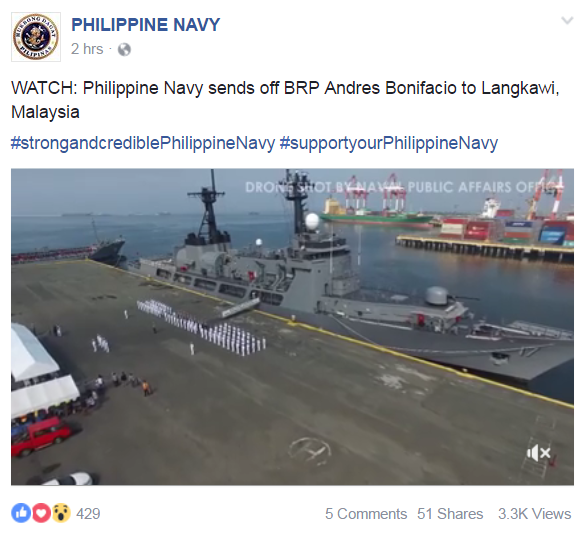 MANILA, March 11 (PNA) -- In line with efforts to foster closer defense ties with its Southeast Asian neighbors, the Philippine Navy (PN) will deploy its newly acquired Hamilton-class cutter, the BRP Andres Bonifacio (FF-17), to the Langkawi International Maritime and Aerospace Exhibition (LIMA 2017) in Malaysia. The event will start on March 21 and end on the 25th, Navy spokesperson Lued Lincuna said in a message to the Philippine News Agency (PNA) Saturday. 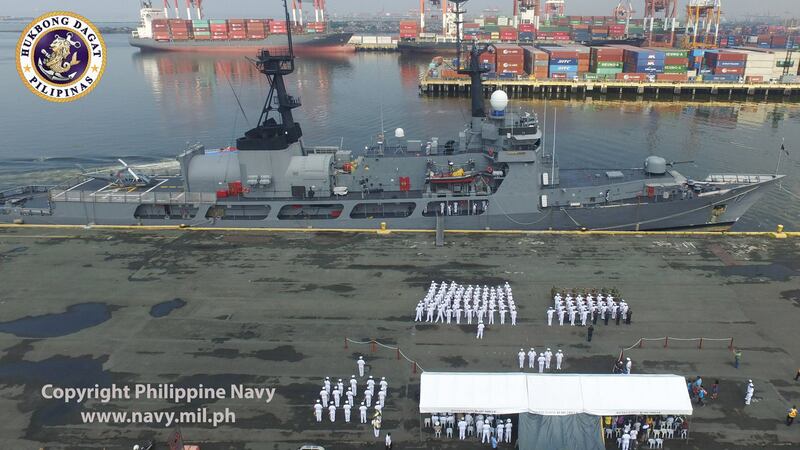 In line with this, he said the Navy will have a send-off ceremony for BRP Andres Bonifacio and the 206 naval personnel on board at Pier 13, Manila South Harbor on Tuesday. Lincuna said Navy flag-officer-in-command Vice Adm. Ronald Joseph Mercado will lead the ceremony. LIMA, one of the most influential exhibitions in Asia, is a dedicated maritime and aerospace exhibition for defense, civil and commercial aviation, shipbuilding and ship repair. 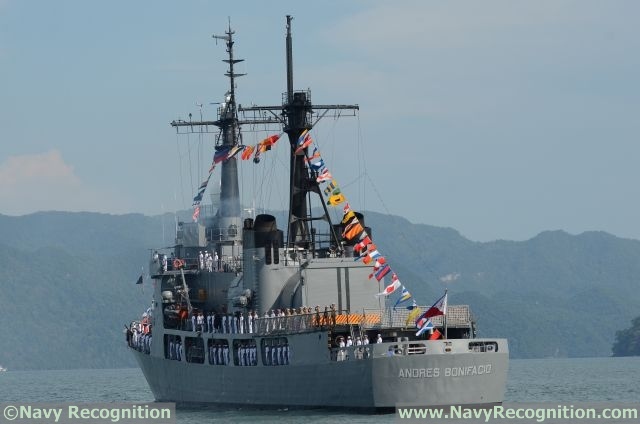 The BRP Andres Bonifacio, the third Hamilton-class cutter in the Navy's service, was formally welcomed into the Philippine fleet last December 9. The ship is armed with a 76-mm. Oto Melara automatic cannon, like her sister ships, BRP Ramon Alcaraz (FF-16) and BRP Gregorio Del Pilar. The BRP Andres Bonifacio is the former USCGC Boutwell that was retired from US Coast Guard service on March 16 last year and handed to the Philippine Navy a few months later in July 2016. Hamilton-class cutters have a gross tonnage of 3,250 tons, has a length of 378 ft., a beam of 43 ft., and draft of 15 ft.
Its propulsion systems consist of two diesel engines and two gas turbine engines, giving it a top speed of 29 knots and a crew of 88 officers and enlisted personnel. 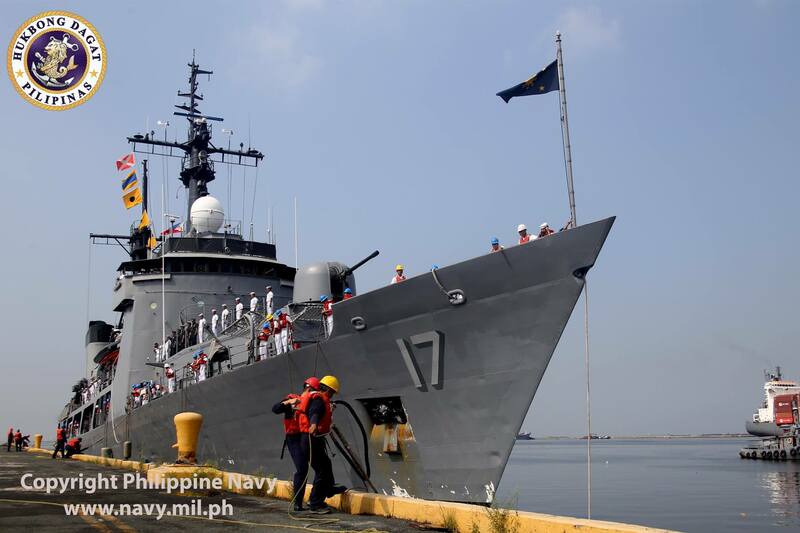 Philippine Navy Vice Commander Rear Admiral Rafael Mariano led the send-off ceremony on Tuesday for BRP Andres Bonifacio and more than 200 Navy sailors, a report on Balitanghali said. The vessel and the sailors will participate in the Langkawi International Maritime and Aerospace Exhibition or LIMA 2017 to be held from March 21 to 26, GMA News' Oscar Oida reported. The LIMA is one of the most influential exhibits in Asia when it comes to maritime and aerospace defense, civil and commercial aviation, ship building, and ship repair. BRP Andres Bonifacio at LIMA '17. Via Navy Recognition. BRP Andres Bonifacio will be participating in a naval exercise as part of LIMA 2017. 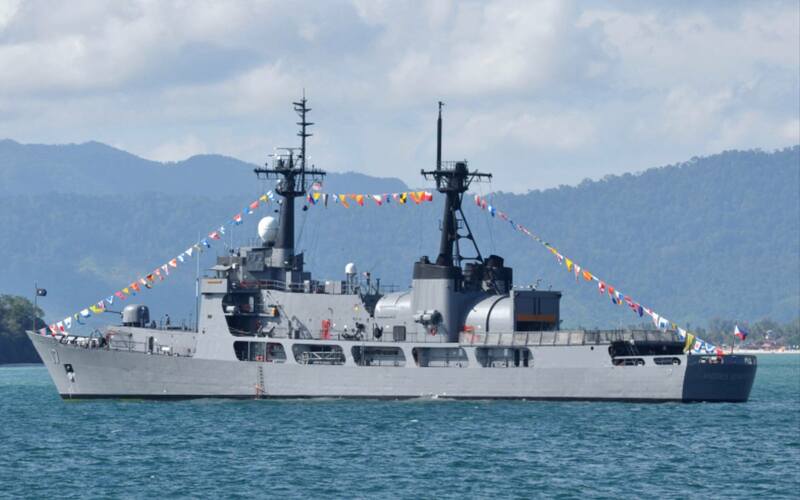 MANILA, March 22 (PNA) -- The ongoing Langkawi International Maritime and Aerospace (LIMA) will provide the Philippine Navy (PN) an opportunity to see first hand modern naval technologies. This was stressed by PN flag-officer-in-command Vice Admiral Ronald Joseph Mercado who was present in the opening ceremonies of LIMA 2017 held Tuesday (March 21). “(This is) an opportunity for us to widen our knowledge particularly on modern maritime technologies,” he said. Such assessments are needed as the PN is now undergoing modernization with various modern naval platforms undergoing bidding, construction, and delivery within the next three years. Aside from Mercado, also attending LIMA 17 was the BRP Andres Bonifacio (FF-17), the country's third Hamilton-class cutter in service and 206 naval personnel, who will participate in the LIMA Sea Exercise, a half-day multi-national naval exercise among participating countries. LIMA is one of the most influential exhibitions in Asia since this is a dedicated maritime and aerospace exhibition for defense, civil and commercial aviation, shipbuilding and ship repair. More photos from LIMA '17. Still from Navy Recognition. There seems to be no NAG AW109 component to both recent patrols of "Supremo" and "Monching"
KUALA LUMPUR, April 3 (PNA) -- The serene waters off Port Klang became more alive with music, good cheers and camaraderie Friday night as a visiting Philippine Navy frigate hosted a reception for members of the diplomatic and defense attaché corps, Wisma Putra officials, leading businessmen and the members and friends of the Filipino-Malaysian community. Skippered by Captain Brendo Casaclang, the frigate BRP Andres Bonifacio, with its 88-person complement, was welcomed by Malaysian Armed Forces chief of staff Lt. General Dato’ Abdul Halim bin Hj Jalal, the event’s guest of honor. Malaya, who concluded last weekend his five-and-a-half years diplomatic assignment in Kuala Lumpur, noted that with the relentless law enforcement operations conducted by the Armed Forces of the Philippines against the Abu Sayyaf group and their affiliates in Sulu and Basilan and the enhanced intelligence-sharing and coordinated patrols in the Sulu Seas between the Philippine and Malaysian sides, there has been no kidnapping in Sabah waters since November last year, and the last remaining Malaysians in the hands of lawless elements have been safely recovered. Ambassador Malaya also cited the heightened interest of Malaysian companies in investment opportunities in the fast growing PH economy and the increasing number of PH companies doing business in Malaysia, led by Petron Corporation, PLDT and Pancake House. 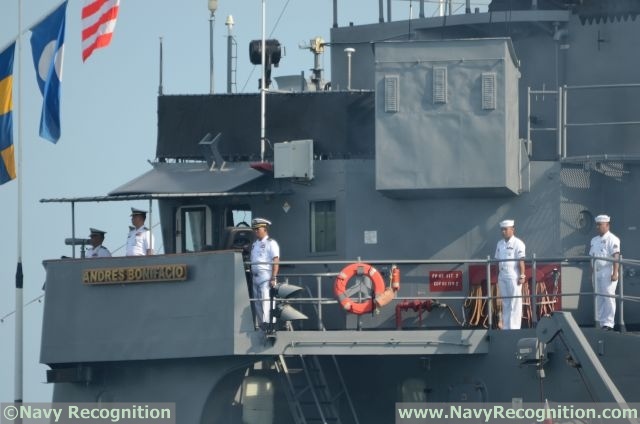 The port call and reception at Port Klang capped BRP Andres Bonifacio’s Malaysian voyage, which included participation in the Langkawi International Maritime and Aerospace (LIMA) Exhibition ‘17, and port call and maritime exercises at the Royal Malaysian Naval base in Lumut, Perak. Port Klang is the main seaport to Kuala Lumpur. The event featured performances by the Philippine Marine Corps band and Kuala Lumpur-based Filipino performers Gina Panizales and Jennifer Alferez who made the night more fun with lively repertoire of Filipino and Malaysian songs, jazz standards and dance music. Miss Panizales sang P. Ramlee’s Getawan Jiwa and the upbeat “Isang mundo, isang awit” (One world, one song), while Ms. Alferez, a PH embassy staff member, did Breathless and Dancing Queen. 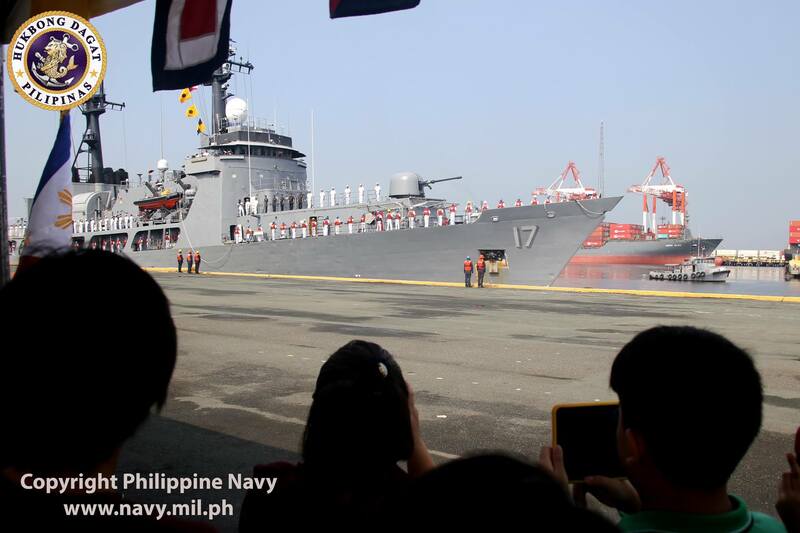 BRP Andres Bonifacio is the third Gregorio del Pilar-class frigate to be commissioned by the Philippine Navy. She is named after Andrés Bonifacio, a Filipino revolutionary leader who is regarded as the "Father of the Philippine Revolution" and a pre-eminent national hero of the Philippines. BRP Andres Bonifacio has moved over to take over the West Philippine Sea patrol assignments previously handled by the BRP Gregorio del Pilar. 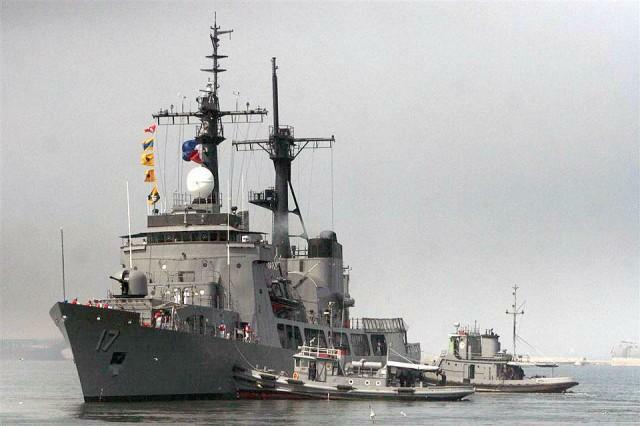 del Pilar is returning to Subic for Continuous Maintenance Availability. 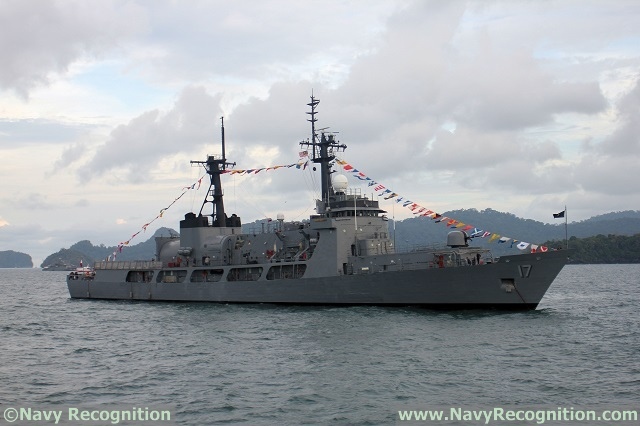 The Philippine Navy (PN) sent off on 30 September at Pier 13, South Harbor Manila, the latest Del Pilar-class Frigate, Barko ng Republika ng Pilipinas (BRP) Andres Bonifacio (FF17) for a port visit to Brunei and subsequent naval exercise in Malaysia. FF17 will first sail for Maura, Brunei Darussalam for a four-day port visit and will participate in the celebration of Golden Jubilee of Sultan Hassanal Bolkiah beginning on October 4. The activity is part of the various confidence building initiatives undertaken by the Philippine Navy with their Bruniean counterparts. FF17 will then proceed to Malaysia for the conduct of annual exercise dubbed as Maritime Training Activity (MTA) Malaysia-Philippines (MALPHI) LAUT 20-17 together with the Royal Malaysian Navy (RMN) at Region I, Kuantan Naval Base from October 16-25. MTA MALPHILAUT is an annual bilateral exercise between PN and RMN that aims to enhance interoperability, working relationship and camaraderie through the conduct of coordinated maritime patrol training focusing on common maritime threats and other illegal maritime activities in both countries. 3. In this connection, all ships/watercrafts transiting the vicinity of the above mentioned areas are advised to take note of the information and take necessary precautionary measures at all times. 4. The cooperation of all concerned in effecting widest dissemination of this information is requested. BRP Andres Bonifacio (FF17) under the helm of Captain Dennis Rommel G Quines, arrived this morning, October 28 at Pier 13, South Harbor, Manila after 29 days at sea. 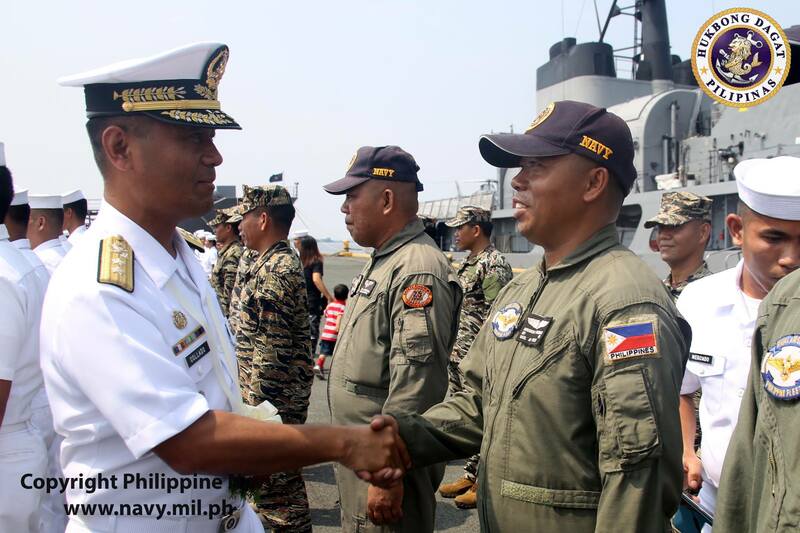 The contingent of more or less 200 PN personnel composed of the ship’s crew, medical team, students, and training staff, and a team from the Naval Special Operations Group and Naval Air Group were formally welcomed by the Commander, Philippine Fleet, Rear Admiral Gaudencio A Collado. Other senior officers, families, and friends of the contingent were also there to witness the event. Departed last 30 September, FF17 conducted four-day goodwill visit at Maura, Brunei Darussalam and participated in the celebration of the Golden Jubilee of Sultan Hassanal Bolkiah. 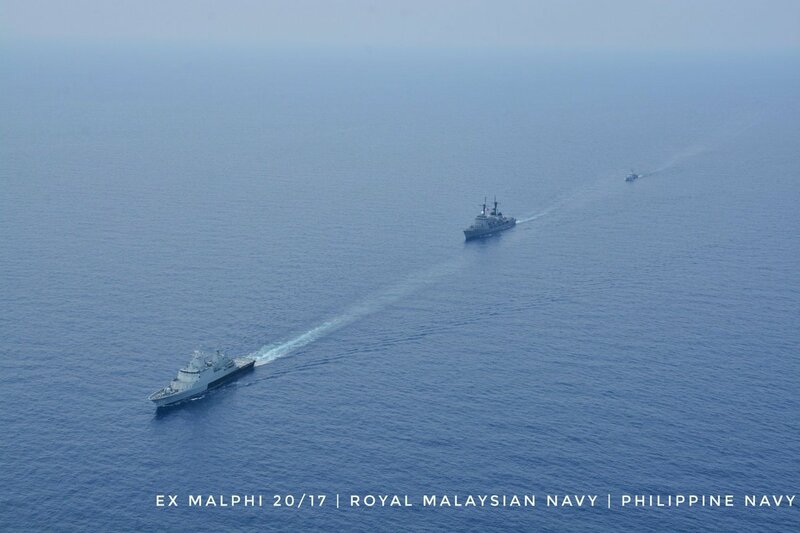 This was followed by the Maritime Training Activity (MTA) Malaysia-Philippines (MALPHI) LAUT 20-17 with the Royal Malaysian Navy (RMN) at Region I, Kuantan Naval Base from October 16 to 25.